Don’t forget that Truman High School, West Middle School and Eureka Heights Elementary School are all vying for new technology awards in the "Lots2Give" contest being held nationwide by Big Lots. Each school created a video highlighting the school’s technology needs. Those videos are posted online, to be viewed and voted on. Anyone can vote three times from each electronic device that you possess … that means you can vote daily from your home computer, work computer, smartphone, iPad, etc. Your vote could help any of the schools win up to $20,000. The videos are online through July 7. Winning schools will share $120,000, which includes the $20,000 grand prize, two $10,000 first-place prizes and four $5,000 second-place prizes. There will also be 30, $2,000 awards. In addition, you can help participating schools through Big Lots’ in-store donation programs, which allow a $1 or $5 donation directly to the school desired through July 7. To view the videos or see more on the contest, just click here. Looking for a fun activity for your child? 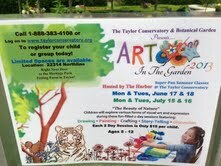 Try the "Art in the Garden" series, the second of which is scheduled next month at the Taylor Conservatory & Botanical Gardens. Session No. 2 of the series is scheduled for July 15-16. It will take place between 1-2 p.m. each day, and is titled, "Amazing Animals." The first part of the series was held earlier this week. Children ages 6 through 12 years will explore various forms of visual art during this fun-filled two-day session. It will feature drawing, painting, crafting and discussion. And it's a good deal for only $15 per child. It's hosted by The Harbor. 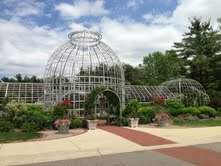 For more information, click here to go directly to the Taylor Conservatory & Botanical Garden's Web site. 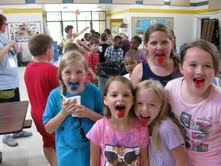 HOLLAND ELEMENTARY SCHOOL: More photos of Fun Day! 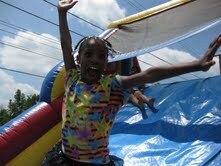 More photos follow of the recent Fun Day at Holland Elementary School. 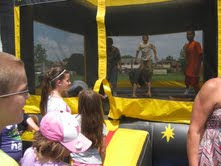 The sun came out and dried up all the rain, enabling Holland Elementary School to hold one of its "most awesome" Fun Days ever, according to Principal Sue Massucci. Parent volunteers and the Parent Teacher Organization worked hard to mark sure the children had a great time and some treats. 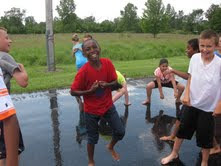 Pupils enjoyed bounces, snow cones, cotton candy, Minute to Win It games, the water bucket brigade, tug of war, and dancing with music from DJ Scott Bachman (Spb Productions, Lincoln Park). The highlight of the day? 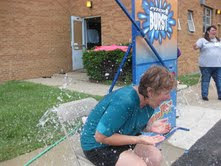 Getting a chance to "soak the principal" who was sitting under the Pitch Burst all day! The event ended with the entire day doing Zumba, led by former school secretary Mrs. Amy, and dancing to the "Cupid Shuffle" and some other fun songs. 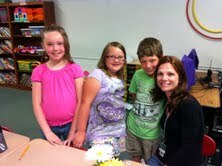 The PTO supplied Jets Pizza for all the students and volunteers. Principal Massucci, who is now finally dried out, sends out a big "thank you" to the PTO and the volunteers who put the event together. 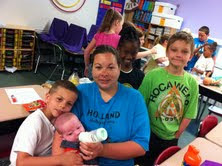 "It was a great way to wrap up an amazing school year." she said. 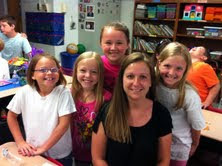 Many Taylor students entered a recent art and poetry contest sponsored by the Taylor Conservatory & Botanical Gardens. The award winners will be on display throughout the summer months. The "Best of Show" will be on display Sept. 8-14. Four Blair Moody pupils from Mrs. Wolney's class received such an honor, and Wolney would like to remind everyone to stop and see the displays during the summer months. The conservatory and surrounding woodlands area is located on Northline Road just east of Pardee Road and just a few steps away from the Petting Farm. The Taylor Conservatory & Botanical Gardens, in partnership with the Taylor School District, will be displaying artwork created by students throughout the summer months. 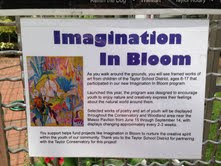 The program, called "Imagination in Bloom," focuses on art and poetry. The winners are scheduled to be display on the grounds of the conservatory and gardens, and the woodlands area also located there. The entire facility is located along Northline Road near the Petting Farm at Heritage Park. Edison's and Davidson's work were considered "Best in Show" during the judging. Ruiz, Carrabello, Ponder and Mullins were all "Best of Show" winners. Alexander, Ezekoi, Nitz and Finley were all "Best of Show" winners. Jordan and Owens were "Best of Show" winners. Cunningham was named "Best of Show." Between Sept. 8-14, fourth-grader Dovion Servin's "Woman in Yellow" (art) along with all the "Best of Show" winners will be on display in both the conservatory and the woodlands. Busch is a "Best of Show" winner. The Kennedy Action Center recently honored three students as part of the Wayne Metropolitan Community Action Agency's second annual Youth Believe and Achieve Awards Ceremony at the Ford Community and Performing Arts Center in Dearborn. The Kennedy Action Center is Kennedy High School's after-school program. According to Site Manager Alyssa Tumolo, the Kennedy Action Center has been running the program for 50 high school students since 2009, focusing on academic enrichment, family involvement, recreation and life skills. The awards, given to Khari Walker, Paris Bowens and Christopher Freeman, honored spirit and determination that helped mold them into young leaders and helped them achieve their goals. 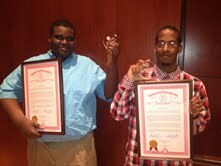 State Sen. Hoon-Yung Hopgood (D-Taylor) was in attendance and presented each honoree with a framed award. He also took time to personally tell them how proud he was of their efforts. 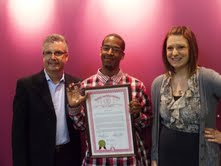 Walker received the Positive Growth Award for Attitude and Citizenship. When he first joined the after-school program four years ago, he kept to himself and worked quietly on his homework. Over time, Walker proved to be a trustworthy student, helpful to others and a leader to his peers. He has become more dedicated to his studies, and despite a busy schedule and a job, still takes time to come to the after-school program. Bowens has participated in the Kennedy Action Center for four years. In that time, he has grown to be a confident young man who is dependable, compassionate and a leader. He stays busy with his extracurricular activities including Link Crew, ROTC and DECA. More than that, he's consistently striving to do his best at anything he faces. He, too, received the Positive Growth Award for Attitude and Citizenship. Freeman was the final winner of the same award. He's in his first year at the Kennedy Action Center, and has stepped out of his comfort zone on a number of occasions to benefit the program. At the start of the year, like Walker, he kept to himself. However, he took major steps afterward, helping teachers and peers alike. 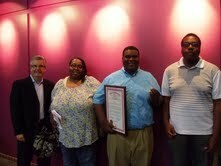 Everyone was able to see how outgoing, helpful and kind Freeman is and he became a position part of the program. The Taylor School District is helping its teachers learn more about common core objectives and technology this summer through what is becoming known as the "Taylor EDU" campaign. The TSD has combined with state and federal programs and school improvement efforts to hire coaches from within the district to provide professional development for all of the system's instructional staff during the summer break. The staff will offer a wide range of courses including some focusing on Twitter, Edmodo, OpenOffice, Interwrite Boards, Desktop and Browser Tips, Math Common Core, Project-based Learning, Engaging Students, increasing feedback, effort math instruction through literature, community resources and more. Teachers will learn how to use different technologies to help engage students in and out of class. Sessions will also cover topics to help increase student achievement in Language Arts, Math, Science and Social Studies. 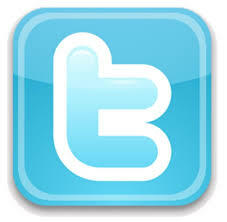 Twitter is a popular instant messaging system that was launched in 2006 and has a worldwide social media online audience. Edmodo, simply defined, is a "Facebook for education" -- a secure social learning network for teachers and students. OpenOffice is an open-source office productivity software suite that contains a word processor, spreadsheet, presentation application, drawing application, formula editor (for math) and a database management application. 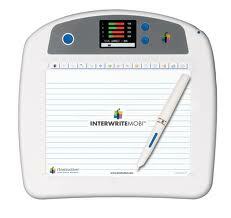 Interwrite Boards are electronic whiteboards that feature electromagnetic technology and provide an effective way to facilitating and stimulating interaction. 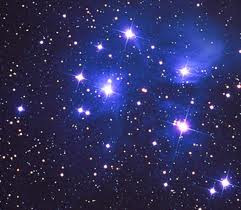 "Reach for the Stars" in the Taylor School District! The TSD is accepting out of district school choice applications for kindergarten through 12th grade. Applications will be accepted for the 2013-14 school year through Sept. 6, 2013, at the Pupil Accounting Office, 9551 Westlake Road. The office is open between 7 a.m. and 2:45 p.m. daily. Call (313) 295-5742 for more information. Registration for the Taylor School District's tuition summer school for academic credit program is currently ongoing through 8 a.m. Wednesday, June 19. Registration for TSD residents started today (Monday, June 17) and runs through 8 a.m. Wednesday morning in the "Zap Me Lab" in Truman High School. Anyone interested in the program can find the lab by entering the doors labeled "special education" and following the signs. Registration for anyone living outside of the district will be held from 7-8 a.m. Wednesday, June 19. 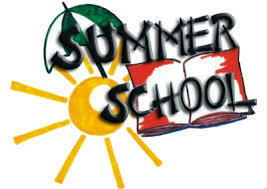 Summer school will be offered in two sessions, with Session 1 running from June 19 to July 3 and Session 2 from July 8 to July 24. Class times for both sessions are 8 a.m. until 1 p.m. Classes will be held in the THS Zap Me Lab. 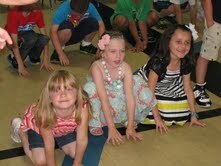 Anyone interested in the program should click here to go directly to the TSD's home page online. Registration information and forms can be found by clicking on the link on the lower left-hand side of the page. 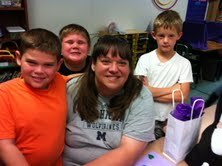 Last week, Ms. Chapman from the Michigan Department of Education made her final visit of the year to Truman High School. During her visit, she gushed over how far we have come is such a short period of time and wanted me to tell her our secret. Second, they would like us to make a presentation at a future seminar to the schools that were initially identified as a “Persistently Low Achieving” group, explaining to them how to turn a school around and how to get off the PLA list. I told Ms. Chapman that I would be more than happy to put such a team together, to record such a DVD, but that it would be a very short presentation and DVD. That’s because our secret was simple. We came together. Often I imagine that I am much like a wagon train master on a long journey across the country. When hostiles attack, we become very good at circling the wagons and defending ourselves. We come together. What outsiders do not realize is that by coming together, we’re not “holding the line” for ourselves, but for those at our elbows. This year I have seen those who have been told that they are on the layoff list swallow hard, shake my hand and thank me for giving them the news knowing that my heart is breaking. They seem as concerned about me as they are about themselves. I have seen others who hung around to offer moral support break down into tears. It’s a strange sight, to see those being told that they are on the layoff list comforting those mourning the loss of a colleague. But this is the type of thing that demonstrates just how close we have become, how much we have come together. We are much more than just a teaching staff, we are a family, a community of educational professionals that have grown to love and care for each other through good times and bad. I have your back, and I know you have mine. It is our relationship and a mutual respect that makes us stronger. We had a good year. Our football team went into the playoffs and our basketball team did well. Our band and choir were outstanding, DECA took a record number of students to state-level competition, our Quiz Bowl team ended up third in the state, Youth in Government, our school play and our JROTC groups were second to none. We came together to celebrate them. Our test scores continue to rise and ACT scores were higher than anyone else in the district. One hundred and twenty five students were accepted to college received over $1.7 million dollars in scholarship money at our college fair (the only school in the area to hold a college fair). Student disciplinary actions were down to include a 25 percent reduction in student suspension rate. That’s all because we came together to educate. Attendance is up and tardiness is down. ID cards and hall sweeps have become part of our school culture. 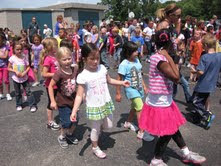 Students run to class and are concerned about their grades. 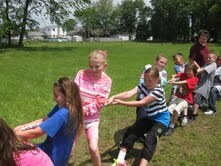 Doing well has become fashionable because we came together and convinced our students to participate. But don’t get me wrong, we have had our share of hard times, but when we needed each other the most, we again came together. The success we have experienced at Truman, the reason why we are among the very few to have actually “turned things around,” is because we made the decision to work together and become a team with a single mission. As principal I had no one working “for” me, yet I had everyone working “with” me. The reason why we did so well this year, why we have experienced so much success so quickly, is because we came together. We set differences aside, refused to be divided, ignored the negative and focused on what was truly important, our students. This being my last update of the year, I wish to tell those who have retired from our ranks that your absence will be felt. We celebrate the years of service you have given the people of Taylor, yet we mourn your loss because your absence has created a void that will take years to fill. As for those we are losing as a result of staff reductions, all I can say is that as a staff we have been wounded, but we wish you good luck in your future endeavors. For those who remain, rest and enjoy this summer and prepare yourself for another year in the educational trenches. Your students will need you to be at your absolute best, so prepare yourself to give them what they need. Remember, their future is in our hands. Improving one week at a time. The New Truman High School. 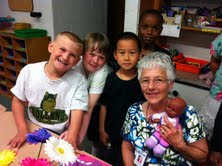 Volunteers and academic teaching assistants are invaluable aids to the educational process. The staff at Holland Elementary School wanted to recognize that last week. Ms. Danaj's second-grade class surprised the ladies who volunteer at Holland and the "awesome" academic assistants by treating them to a round of story telling. 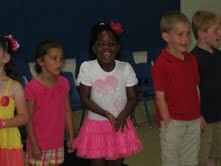 "Love You Forever" and "The Giving Tree," two books about love and sharing, were featured presentations by the pupils. Each honored guest had their own personal group of children who pampered them during their special visit by serving up plenty of snacks and hugs. 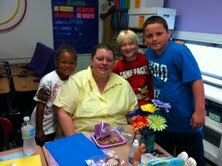 The volunteers and teaching assistants felt very special -- it was a day that they won't soon forget. 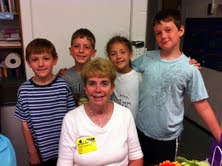 Principal Sue Massucci said, "We truly appreciate the time our volunteers give to our children." 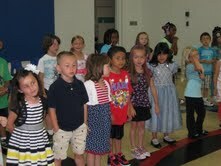 The kindergarten classes at Holland Elementary School held a "Celebration of Learning" last week. Parents and family members were invited to watch the students perform songs and assisted them in learning important topics, such as sounds, spelling, reading and even social studies (when they named the seven continents!). Kindergarten teachers Mrs. Zwolan, Mrs. Gauss and Miss Ball were very proud to show off the skills their pupils had mastered this year. 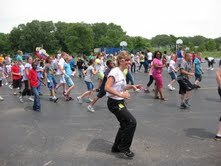 The adults enjoyed the performance and then went back to the classrooms for treats with their children.